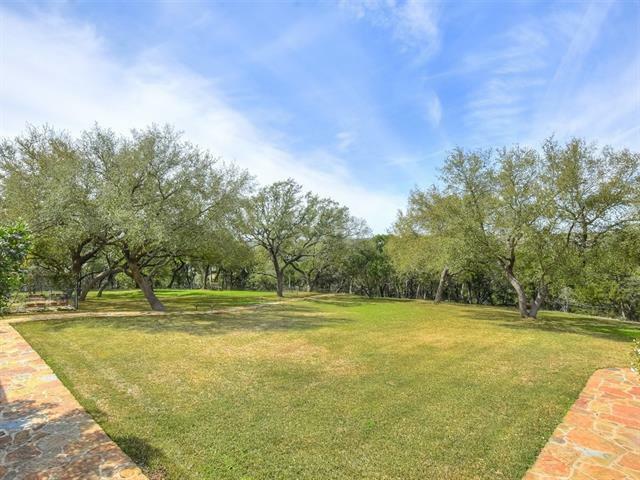 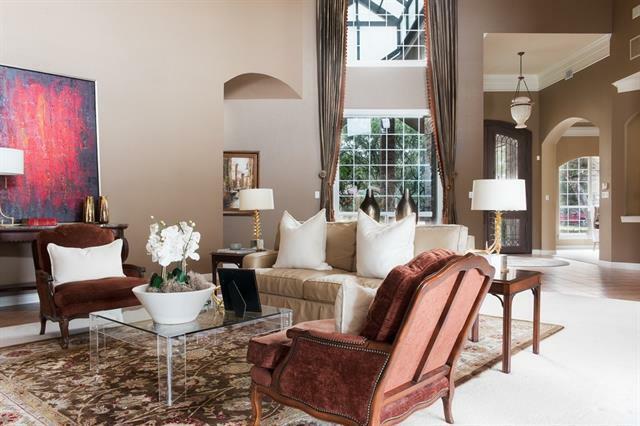 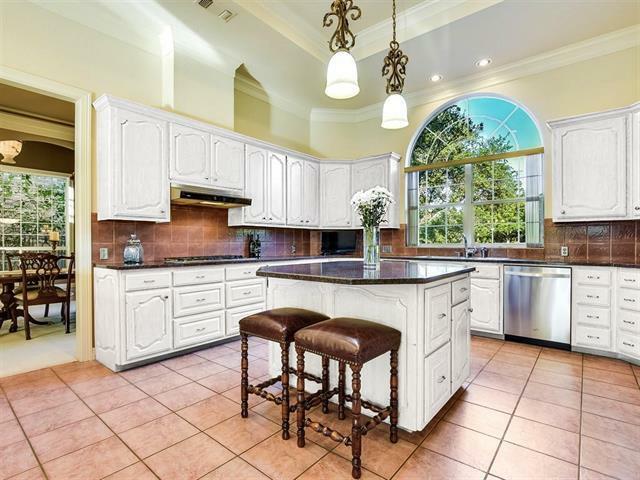 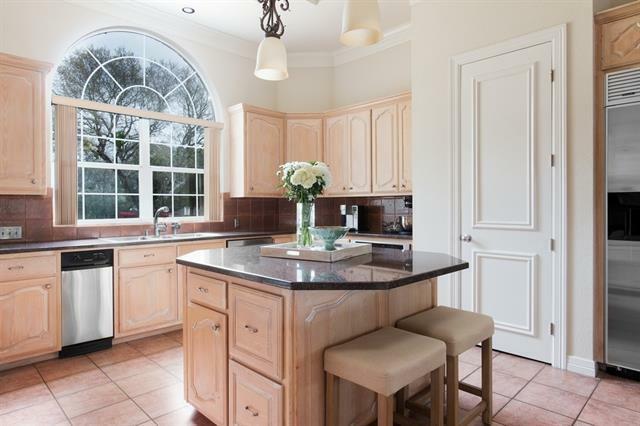 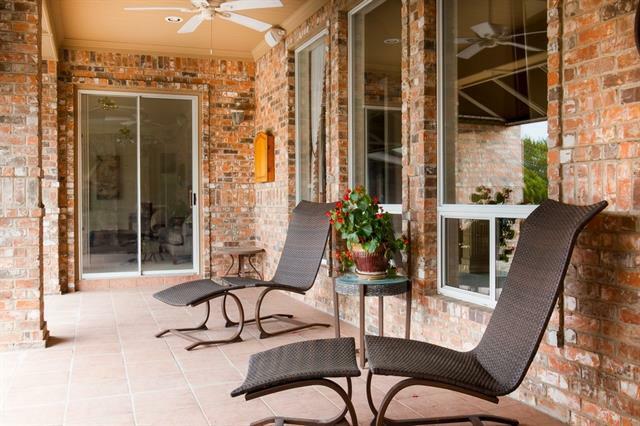 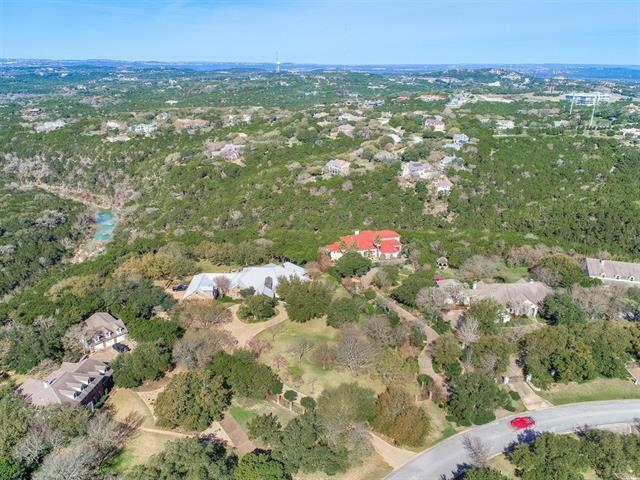 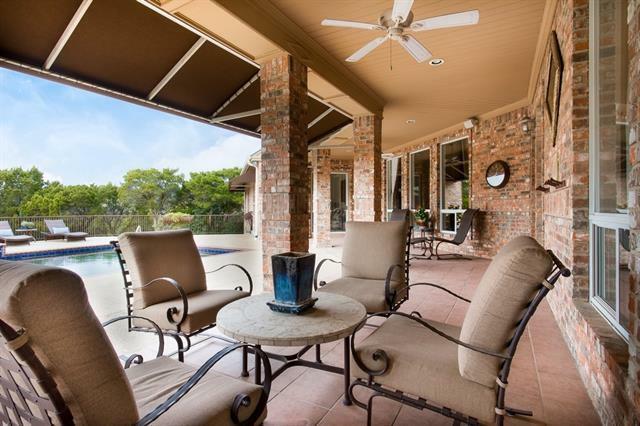 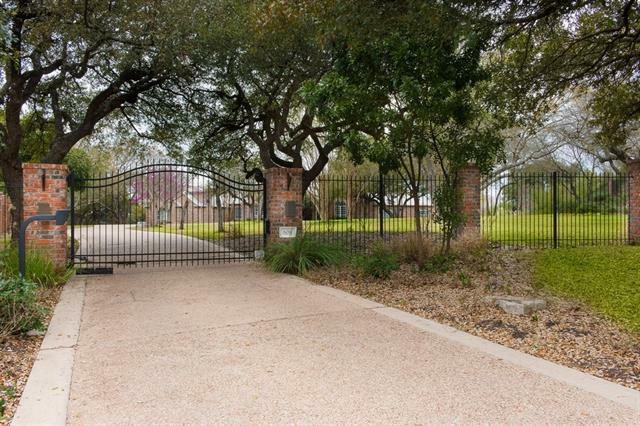 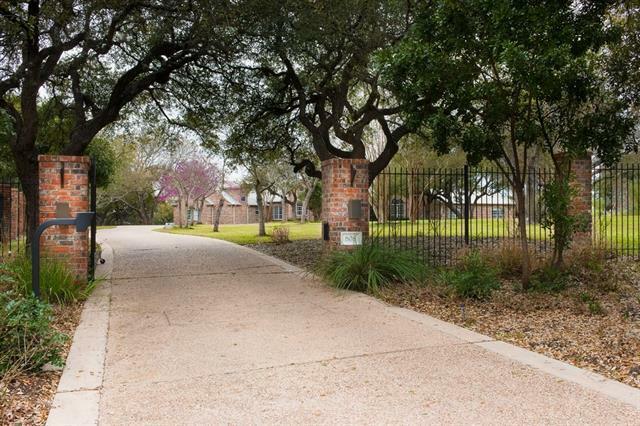 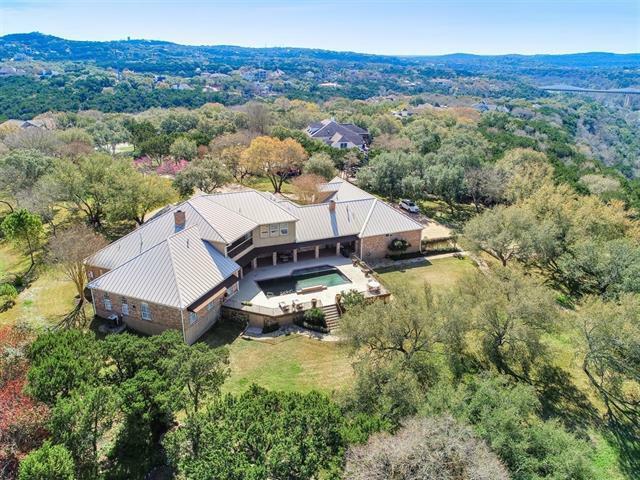 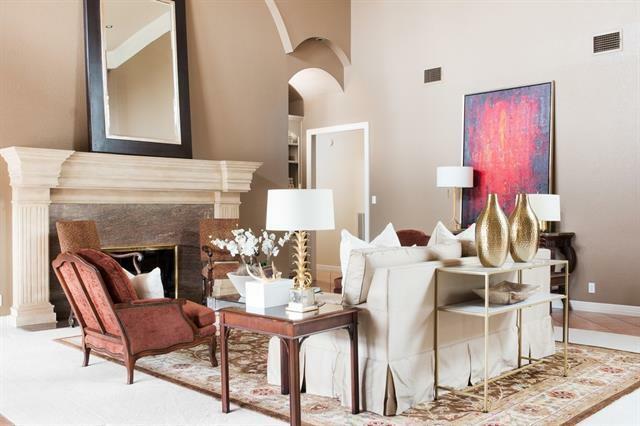 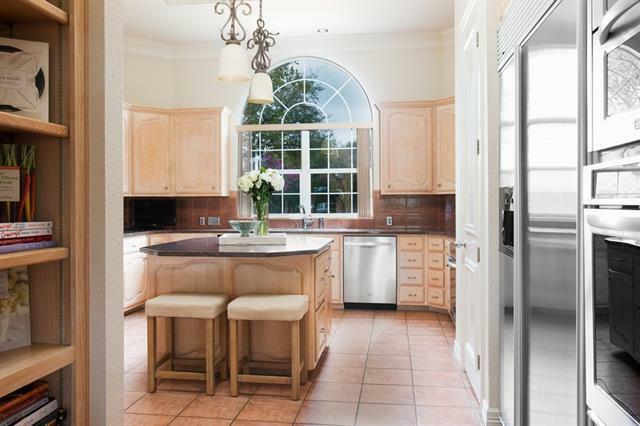 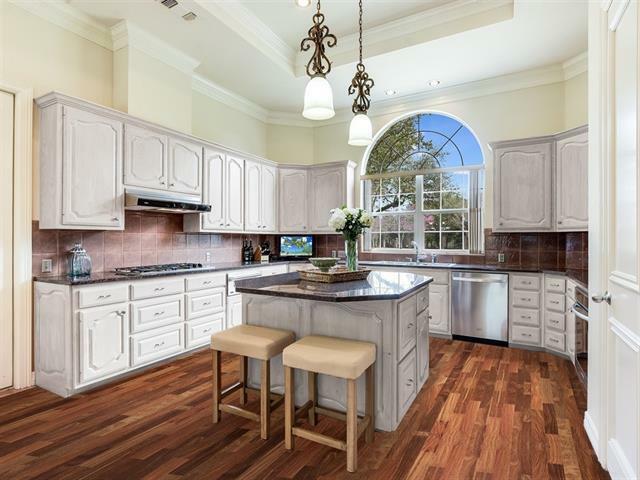 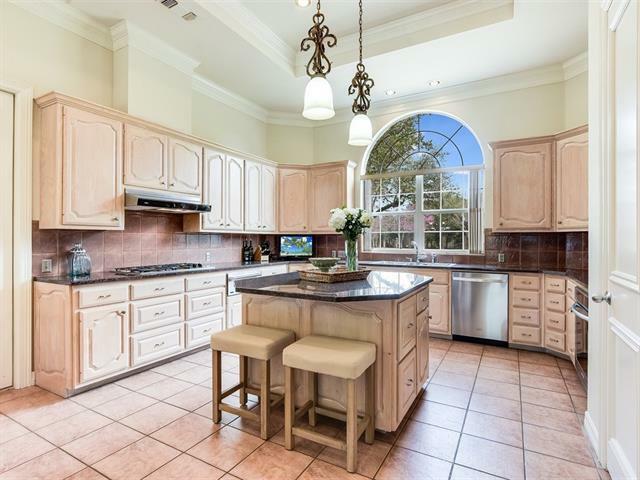 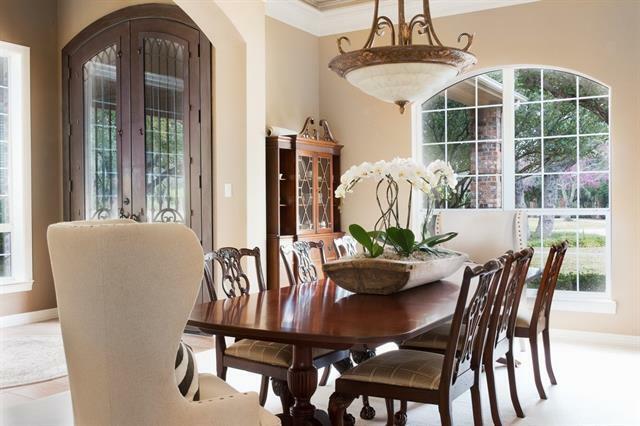 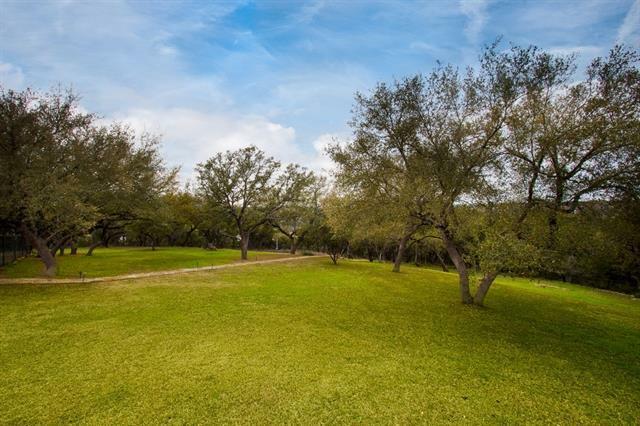 Fantastic 3+ acre FLAT, gated property in EANES ISD. 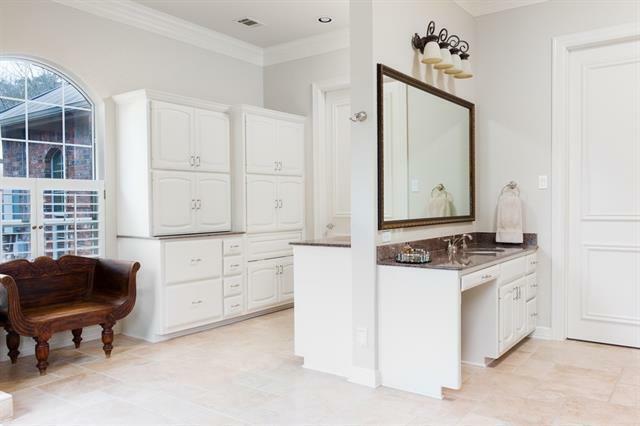 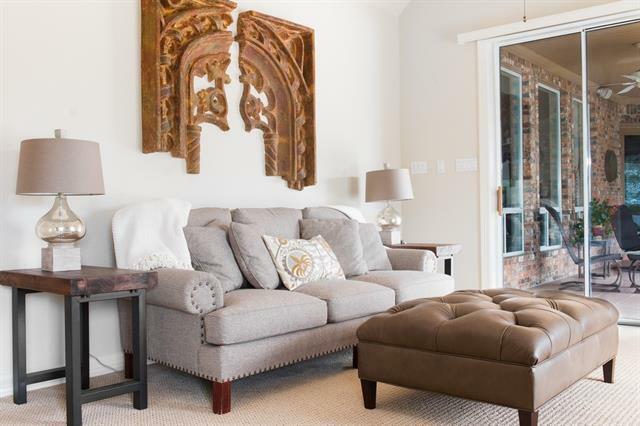 ONE STORY- spacious, renovated master suite with large spa bath with his and hers separate areas and closets. 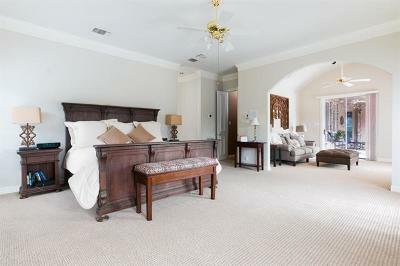 Living area off of master bed. 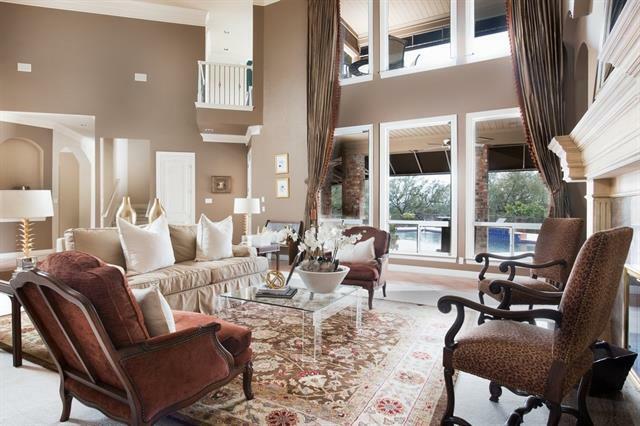 AWESOME FLOOR PLAN. 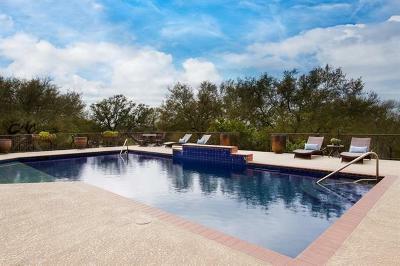 All areas opens to pool. FOUR CAR garage w/ work area. 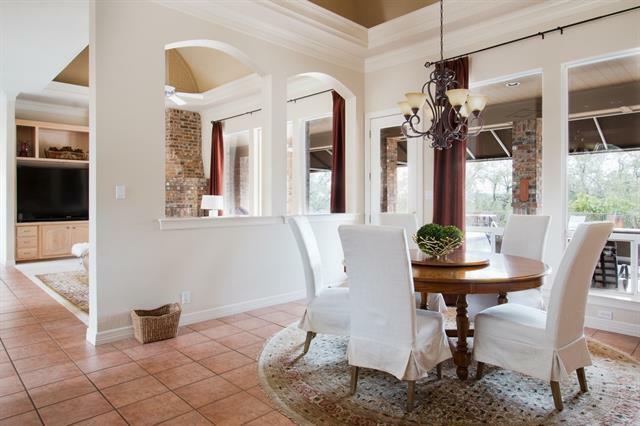 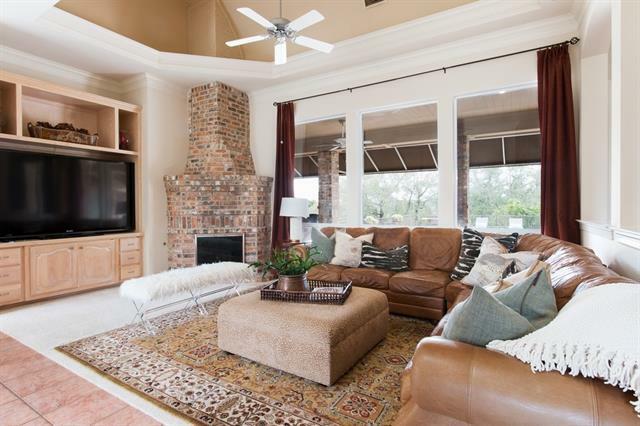 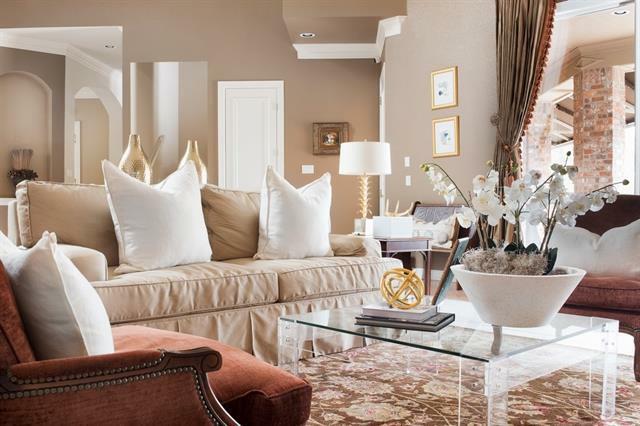 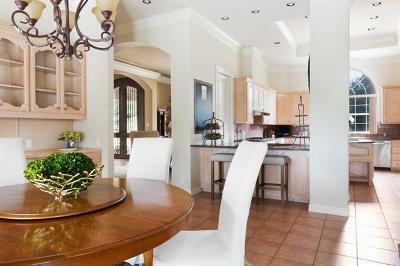 High vaulted or barrel vault ceilings throughout home. 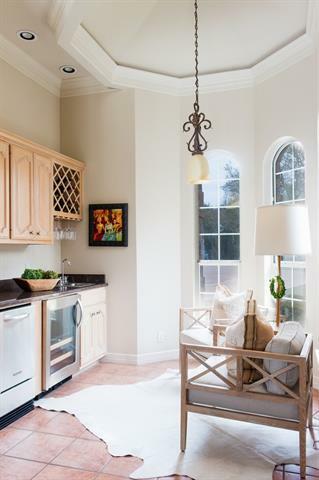 Cove lighting. 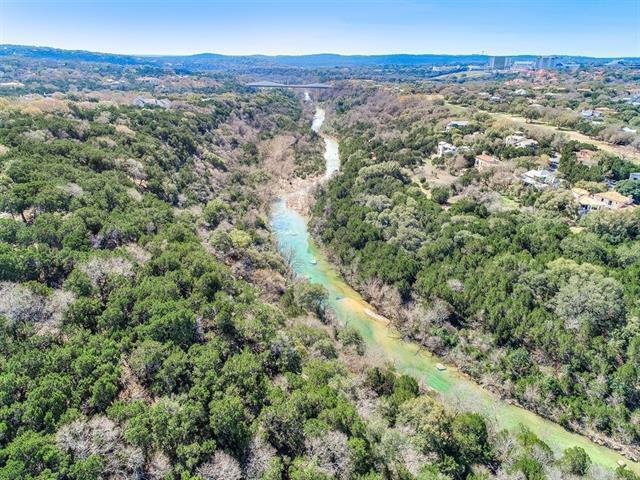 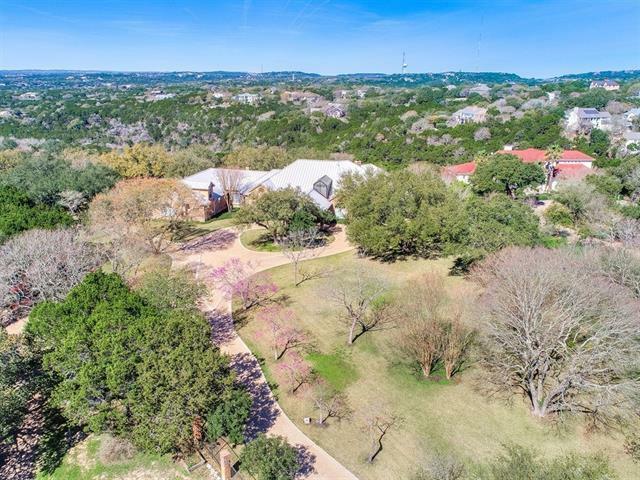 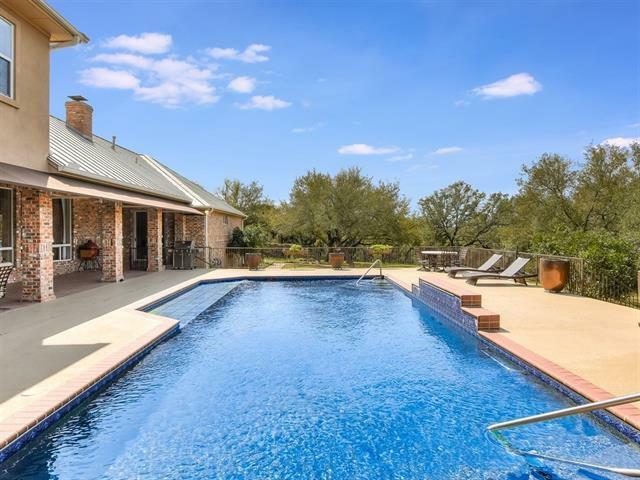 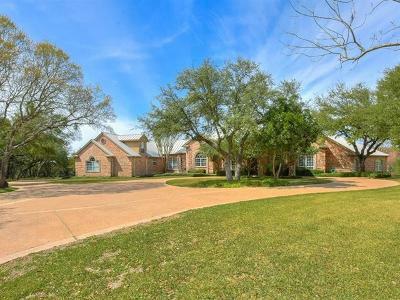 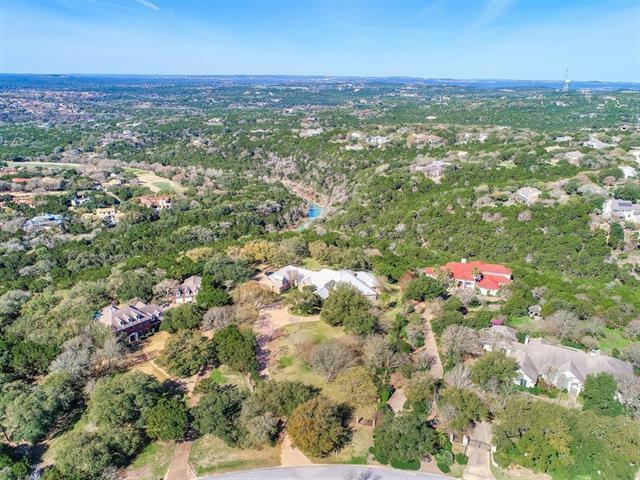 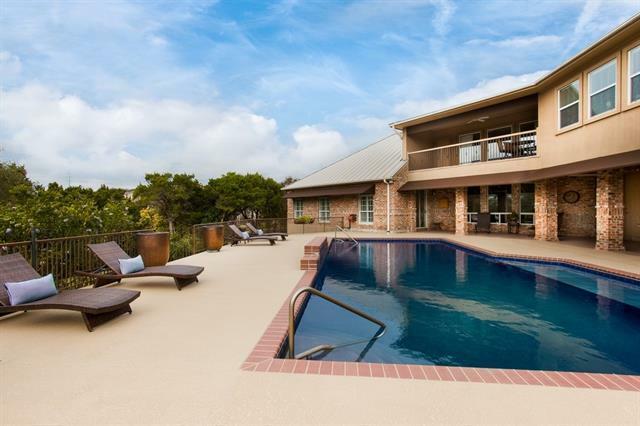 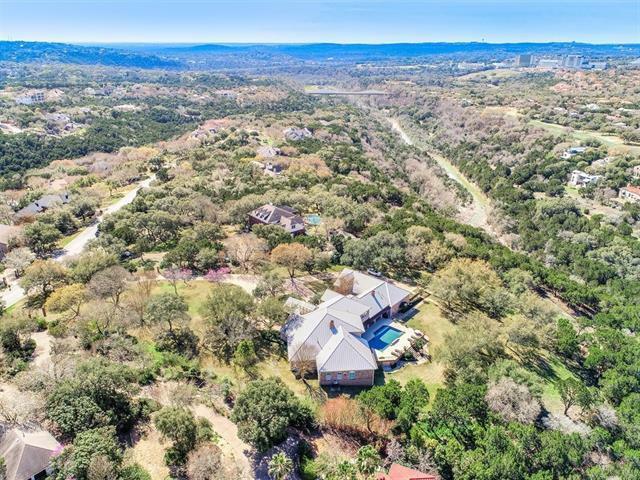 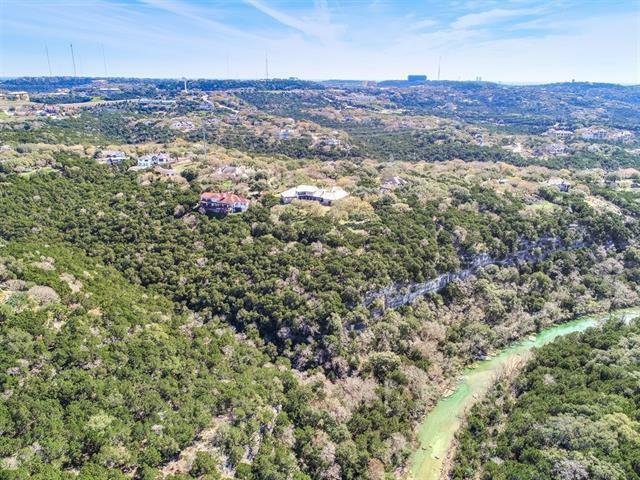 Very RARE Flat acreage with Barton Creek in back yard. Extra wide FLAT circle drive with a Porte Cochere at front door. 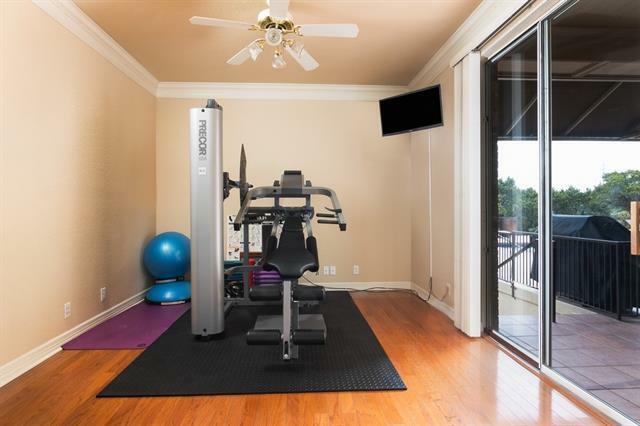 Staircase up to storage attic.